If there are two themes that pop up regularly on a Pkew Pkew Pkew record, they are living fast and drinking lots. Like Joyce Manor, their catchy brand of pop punk rarely exceeds the three-minute mark, and like Fidlar, they wear their love of skateboarding and cheap beer on their sleeves. 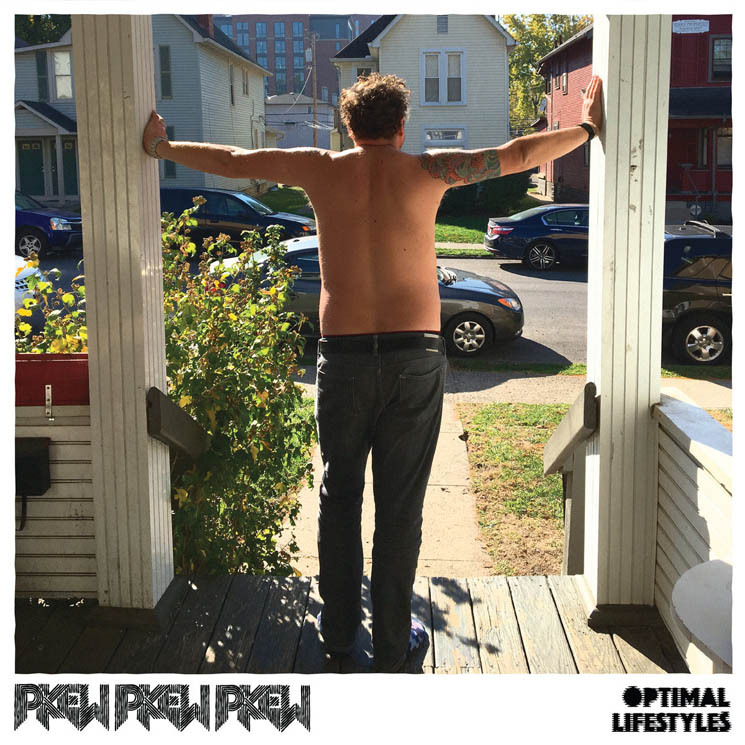 While their latest record doesn't lose their fun, propulsive energy, Optimal Lifestyles shows an increase in emotional range as a band, while still writing songs to punch holes in walls to at your next house party. It's a bit of a cliché to talk about pop punk bands "growing up," but it's hard not to look at tracks like "Adult Party" or "Still Hangin' Out After All These Years" without seeing a growing sense of maturity in the band's songwriting. Drinking until the sun rises has started to wear the band down, and while the record suggests they're not ready to give it up just yet, they're open and candid about the toll the party lifestyle has taken on them. "I don't dream when I'm blacked out / I never really dream much at all," they shout on "Passed Out" with all the fervour of someone who has been in that position more times than they care to admit.